Do you ever find yourself in a reading slump? Or too unreasonably busy to even consider finding a way to fit reading in? And when you finally do have the time and energy, do you find yourself searching for that writing style that just throws you back in, every time? Well, this summer, as I mentioned in some of my more recent posts, I have been going through a series of transitions: out of an MFA program and into full-time, one-year-old motherhood, and finding my place at my work, and there just hasn’t been much time for personal pleasantries such as reading, let alone writing something about it. 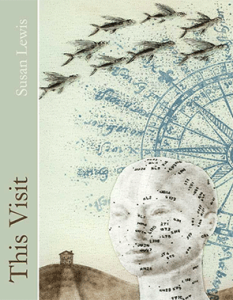 But finally I have made the time, and I discovered a really wonderful poet who has reintroduced, thrown, and forced me back into the beautiful, haphazard, yet peaceful art of reading and writing: Susan Lewis. and these pentameters, in their poetry. But when I read Lewis’s poems, I read them rapidly—I felt the need to read them rapidly, an urgency in the line—and the phrasal combinations, as well as internal and slant rhymes leave me reading these poems quickly, and with a popping enunciation. 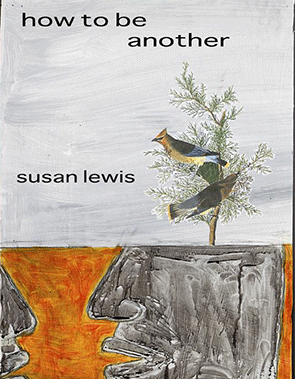 And while reinvention, internal examinations, and redefining are hardly a thing of the past in contemporary poetry (and wondrously, this is true whether we are discussing narrative or experimental poetry, and any form in-between), Lewis employs and demands these characteristics of each and every one of her poems. Looking at a poem such as “This is Not a Movie” from State of the Union, we see how Lewis employs reinvention and challenges the limits of playing with language and what can be said when a phrase is altered mid-sentence (whether incorporating a “naught” in parenthesis, implying that we could read it or omit it, or inserting an oppositional phrase after a comma, implying what could be an alternate universe in the poem—what is and what could be). conceptual mud, a necessity devoutly to be resisted. than this insidiously tempting razor’s edge. reunion is funny, interesting, and a little shocking to the senses. Knowing the heart-wrenching, almost-infamous level of grief felt by elephants, and pairing these feelings and preparations for the outdoors with a reunion makes the occasion feel that much less civilized and severe and suggests the physical level our emotions can reach when things go south, which isolates the reader (the “you”), as well as the narrator, who warns us of these possibilities. So too we see the level of isolation preserved in the relationship between the narrator and the addressed in “Dig,” through the physical act of digging and the passive, perhaps voyeuristic, act of watching. Through the withholding of information, of intimacy, of mutual ground, in the poem, the narrator is left with little but the ability to keep digging, with the hope of arriving at some sort of consensus when whatever is being searched for is found, if it does, in fact, exist. This concept, too, of existence, is an odd constant in these two poems and suggests not only the possibility of what could be that I mentioned earlier, but also that gnawing possibility that what we are expecting—things going south, or finding something in the ground—will never turn up… but it is, indeed, important enough that we must continue to hope or look for it, even if it will only ever be a haunting in our lives. Lewis’s ability to connect with her readers through these hauntings and desires is indisputable, and these moves, particularly in these two poems, have stayed with me, rigorously, over the past weeks. a tiny butterfly tattooed beside the corner of her coy little mouth. we may observe when moving through our own lives and being aware of our impact on others, and their impact on us. I found these poems to be wildly interesting and thought-provoking, and they have stayed with me for weeks since I closed these three books and left them on my desk until I could review them. Sometimes a writer will do something in their work that gets a tight hold on me, and Lewis’s ability to surprise me through the narrator’s reactions to average goings-on (the digging, the hunter’s gear) has such a tight hold on me, and I don’t want it to let go. These images are so vivid and, cliché or not, leap off of the page and challenge my perceptions. Whether you are struggling like I was to find time to read and enjoy, or if you are simply looking for the next book to buy for your shelves, get your shovels and travel gear ready, and look Susan Lewis up. I am so happy to say that I picked such an excellent writer to turn to for my first day back to reading and reviewing books, and I’m sure, with not the slightest sliver of doubt in my mind, that you’ll enjoy her work, too, and become haunted by it. 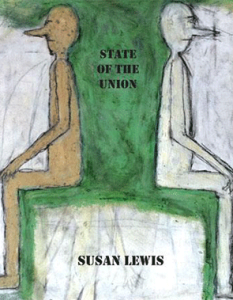 SUSAN LEWIS lives in New York City and edits Posit. She is the author of This Visit (BlazeVOX, 2014), How to Be Another (Červená Barva Press, 2014), State of the Union (Spuyten Duyvil Press, 2014), The Following Message (White Knuckle Press, 2013), At Times Your Lines (Argotist Ebooks, 2012), Some Assembly Required (Dancing Girl Press, 2011), Commodity Fetishism, winner of the 2009 Červená Barva Press Chapbook Award, and Animal Husbandry (Finishing Line Press, 2008). Lewis’s work has been nominated for the Pushcart Prize and has been published or is forthcoming in such places as The Awl, Berkeley Poetry Review, BlazeVOX, Boston Review, The Brooklyn Rail, Cimarron Review, Connotation Press, The Journal, LunaLuna, Monday Night, The New Orleans Review, On Barcelona, Other Rooms, Otoliths, Ping Pong, Pool, Phoebe, Propeller, Raritan, Seneca Review, SpringGun, Truck, Verse, Verse Daily, and Word For/Word. 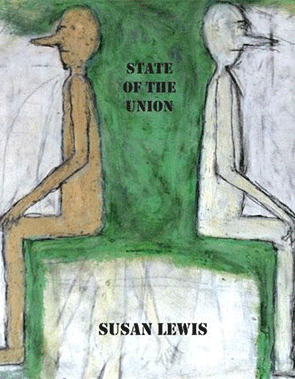 Lewis received her MFA in Creative Writing from Sarah Lawrence College and her BA and JD from UC Berkeley. She taught creative writing at SUNY, Purchase and has served as an editor and guest editor on several publications.